This paper aims to investigate the sources of stress on mental health problems among families in the issue of estate allocation. A total of 10 families around Temerloh, Pahang who attended court sessions in the allocation of estate were selected as the subject of study. The instrument used is the Malay version of Stress Indicator (OSI). The purpose of this study is to identify the main sources of stress experienced by gender and the cohesiveness of a family. The second aim of this study is to look at the differences between male and female family members, behavioral strategies, and mental health problems. 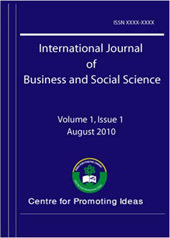 The third aim of this study is to investigate the effect of stress resources on mental health problems and the fourth purpose of this study is to examine the effect of the strategies of behavior in the relationship between stress resources and mental health problems as well as the influence of life harmony in the relationship between stress resources and health problems mental.